Most web designers and developers are familiar with copyright law. We make sure our web designs are not infringing on other’s work. We purchase the proper licenses for fonts and photos. And we run the copy through plagiarism checkers. But what about the code we write? Code copyright is an issue we don’t think about much. However, it’s incredibly important and absolutely necessary that web development agencies address the issue of code copyright from the very start. Choose to ignore copyright and you leave yourself and your agency vulnerable to legal battles over code ownership. The following are just a few reasons why web developers need to address copyright code in their client contracts. Web developers benefit greatly from economies of scale. With each client project we complete, we add more assets to our code library. We reuse that code from project to project. Our cost of production declines while the face value of our work remains the same or increases. Now imagine you had to start every client project from scratch. You had to rewrite every single line of code as if you’d never seen it before. It’s just not realistic. When you copyright your code you are protecting your rights to reuse the same code over and over, from client to client. You are preserving and protecting the building blocks of your business. Some clients will insist on you transferring all of the rights to them when the project is complete. And they will ask you to sign something to that effect — either their own contract or an amended version of your contract. If this happens, you have two choices. First, you can charge the client more money to compensate you for the time, effort, and intellectual know-how you will spend creating a codebase that does not reuse any of your code library. If they won’t agree to paying you more money, which they won’t, option two is to not work with this client. Clients typically ask for full and exclusive rights because they want to resell your work. There is nothing wrong with this approach as long as you are fairly compensated for your work. But, most clients won’t agree to pay the additional fees, and you will have to turn them away. I can tell you, from personal experience, you will be glad you did. Every web developer I know has deep roots in the Open Source community. Every layer of the stack — Linux, Apache, MySQL, Python, to name a few — has Open Source ties. When you control copyrights for your own code, you create opportunities to reuse the code in more meaningful ways. You can easily contribute code back to Open Source projects when you know the code is clear of conflicting copyrights. For example, you may be building a site on WordPress that requires some custom functionality. You could develop a plugin, then offer it up to the WordPress community where other web developers would benefit from the feature. You get to give something back while also getting paid by your client. It’s a win-win. Here at Intervals, we built a tool for merging CSS with HTML to make emails more friendly. We needed it for our web-based software to get emails into our customer’s inboxes while still looking great. The result was something we dubbed the Emogrifier. We decoupled the code from our app and made it Open Source. We didn’t have to release our entire code library to make this happen. We just put one file out there and let the community have at it. 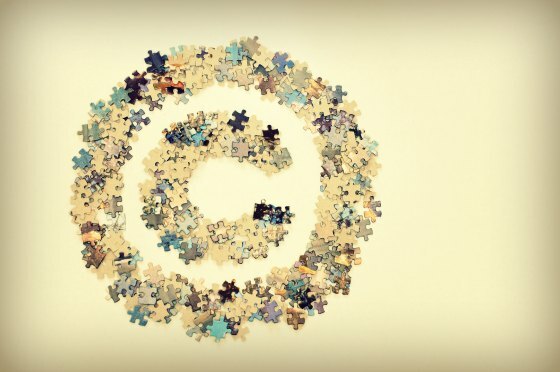 How do I address code copyright with my clients? The issue of code copyright should be cleared up before any contract is signed. By including a copyright clause in your contract you are not only protecting your rights, you are making sure the client understands theirs. You want to have these types of discussions up front because most legal repercussions will happen down the road, after the project has been completed. One legal spat is plenty enough to undo any project, so don’t let it. Thanks so much for highlighting the often forgotten or glossed-over issue of copyright ownership which sometimes get passed over when issues of deadlines and payment schedules take more precedence. We’re curious about rules of thumb when pricing work for copyright ownership vs licensing. What standard percentage markup do you use when offering clients the choice of 100% vs licensed use of code? Kunvay, I am not aware of a standard percentage. We’ve never had a client want to do so. If we did, we would probably negotiate something fair to us and the client. There are some books available about graphic design business that do a good job of explaining percentage markups for copyright ownership. I can’t recall which ones are the best but a google or amazon search should bring up some good results.